Apple Cottage at Normanton Park Cottages in Normanton, near Oakham, Rutland sleeps 2 people. Normanton Park Cottages near Oakham has been converted from former stables; these four holiday cottages, Copper Beech Cottage (ref 19603 [Copper Beech Cottage]), Mushroom Cottage (ref 23202 [Mushroom Cottage]), Apple Cottage (ref UKC1547) and Game Cottage (ref UKC1548) are situated within a walled garden, adjacent to Normanton Park Hotel. The setting is one of immense beauty overlooking Rutland Water. Normanton Park is set on the south shore of Rutland Water and provides the ideal holiday base to visit all this attractive area has to offer. There are many activities such as fishing, cycling, sailing and windsurfing available locally and the Rutland Belle glides across the water daily. The ancient towns of Stamford, Uppingham and Oakham are all within a 5 mile radius. The shop is ½ mile, with the pub and restaurant 100 yards from Normanton Park Cottages near Oakham. The properties can be booked together to sleep up to 7 people. Normanton Park Cottages near Oakham is all on the ground floor. Kitchen area: With 2-ring electric oven, microwave, fridge/freezer and washing machine. Electric central heating, electricity, bed linen, towels and Wi-Fi included. Welcome pack. Sitting-out area with garden furniture. Bike store. Private parking for 1 car. No smoking. Holidays at Apple Cottage, Normanton Park Cottages run from Friday to Friday. Pets allowed at Normanton Park Cottages - Apple Cottage. For a better idea of where Normanton Park Cottages - Apple Cottage is, you can see Normanton Park Cottages - Apple Cottage on the map below. 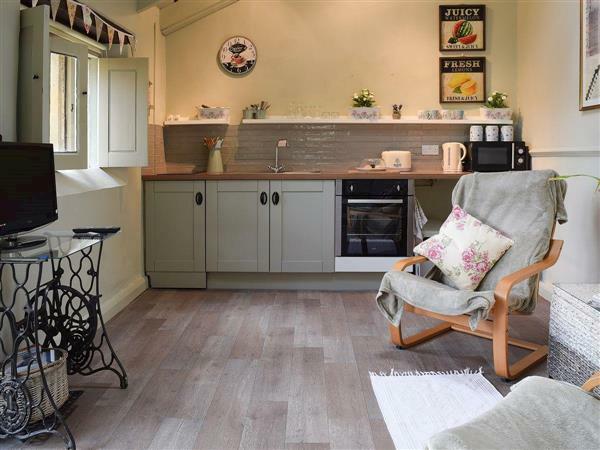 Normanton Park Cottages - Apple Cottage is in Leicestershire; should you be on the lookout for a special offer, you can find all the special offers in Leicestershire. It's always worth checking to see what is on offer at the moment. Do you want to holiday near Normanton Park Cottages - Apple Cottage (UKC1547), you can see other cottages within 25 miles of Normanton Park Cottages - Apple Cottage; have a look to find your perfect holiday location.